Oracle is revamping its independent software vendor (ISV) program inline with renewed investments towards developers and partners with a focus on implementations, as growth for its autonomous database picks-up. “We want to focus on the developers and partners who are able to see through the implementation of our autonomous data warehouse platform as well as develop applications that run on the platform,” said Valerie Lai, director of Cloud VAD across Asia Pacific at Oracle. Channel Asia understands that the new ISV program is expected to roll out later this year. “We are going to look at making a lot of changes in terms of enhancing the ecosystem,” said Lai, speaking exclusively to Channel Asia. “The new program would to an extent help fund the development work done by ISVs. “We are going to groom the partners and support them in terms of providing them the infrastructure and the proof of concept environment for them to build solutions on our cloud platform." The vendor’s autonomous database consists of two parts, the autonomous data warehouse (ADW) that deals with the analytics, and autonomous transactional processing (ATP) that handles different kinds of workloads and transactions. However, given the processing requirements required for ATP, in particular, Oracle is in the process of launching new Gen2 data centres and upgrading existing legacy data centres across the region. “We are progressively increasing our data centre footprint across Asia,” said Lai. “We plan on launching data centres in South Korea and Japan in May 2019, and we are planning Gen2 data centres for India, Australia and China, which are due for lunch in August 2019. "Once these data centres are fired up, we will be aggressively pushing ATP across Asia." The Australian data centre was running on the vendor’s legacy infrastructure, which was shut down to upgrade it to a Gen2 data centre, able to run autonomous database in an efficient way. The feedback for autonomous data solution has been positive, according to Lai, with reports of cost savings, and a noticeable boost in productivity, due to database administrators being freed from more mundane tasks. Autonomous database is a lightweight solution that is particularly suited for the SME market. Lai also disclosed that the tech giant is looking at streamlining the number of value-added distributors, globally, with a focus around cloud technology, with 86 distributors globally at present. Oracle helps partners through a series of training and education programs to help sell its solutions and promote it to customers, alongside a team of people who reach out to partners and end users to talk about the potential of an autonomous database. “We also have a lot of sessions whereby we do white boarding with partners for specific opportunities,” said Lai. A few of such programs have been held across ASEAN, Australia and Japan, whereby, according to Lai, the subject matter expert demonstrates the performance of the solution, much like a proof of concept. “It was very well received,” said Lai. “The customer and partners like it because I would say ADW is still pretty new for them so white boarding helped the customer understand a bit more about ADW before they adopt the solution." Lai also disclosed that consideration is being given to revamping the firm’s MSP program, due to a lower than expected uptake. “At the moment we want to focus on the developers and the partners who is able to do the implementations and develop the applications to run on ADW,” said Lai. “Rather than focus on MSP, we would prefer to look at some of the more lucrative areas, such as ISV and partners focused on implementation. “Implementation is where the partner can monetise. This is what we look for in a partner, their focus on implementation, because a lot of partners know how to sell, but they do not know how to implement. 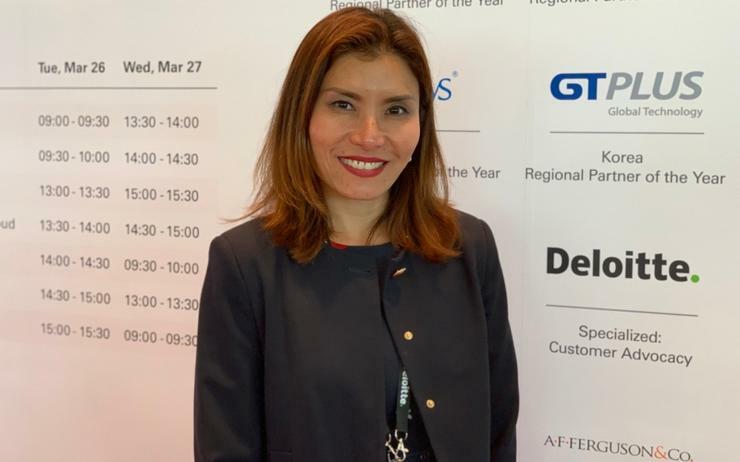 The ideal partner, said Lai, is one who has the technical implementation skill set and also understands the cloud but should also be adaptable, and willing to change, not just focused on on-premise, but open to the cloud. Earlier in 2019, IT services company Wipro launched a new platform aimed at simplifying customer migrations to Oracle Cloud, called the quick migration to cloud (QuMiC) platform. This platform is designed to migrate all aspects required for a cloud implementation, spanning process definitions, configurations, data, and code to Oracle Cloud for a wide variety of software environments.